Big news again today. 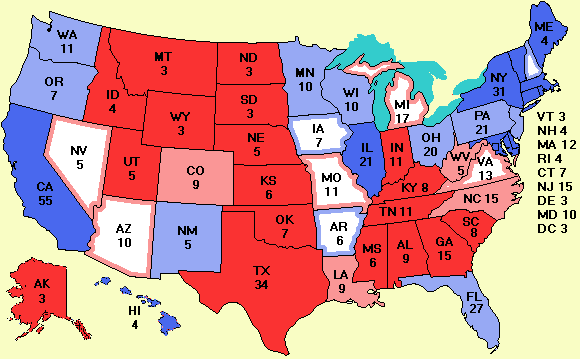 New polls just in from Florida and Ohio give Kerry a 6-point lead in each state, so he once again takes the EV lead. A new poll from Pennsylvania confirms Kerry's earlier lead there. The Florida poll was taken over the past two weeks so it probably reflects the underlying core support Kerry has there and is less influenced by news items like Reagan's funeral and Clinton's book.